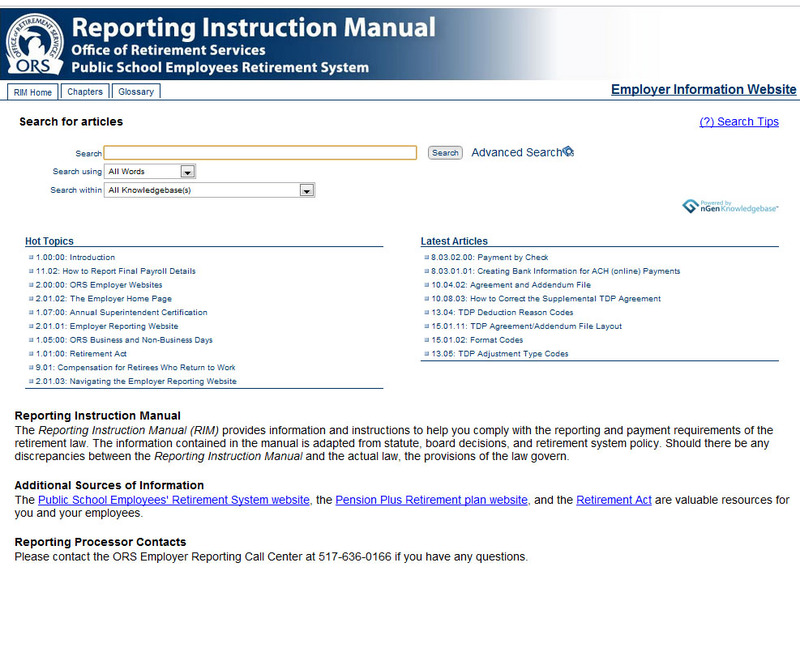 While working for the State of Michigan in the Office of Retirement Services it has been a primary task of mine to convert the Reporting Instruction Manual (RIM) from an InDesign document meant for publication into an online living document using Moxie Soft’s Knowledge Base. The site boasts over 300 articles and many graphics that were designed specifically for it. Converting the document meant applying the accessibility of web standards to the document and making it easily navigable for those who are adjusting to the web based format. 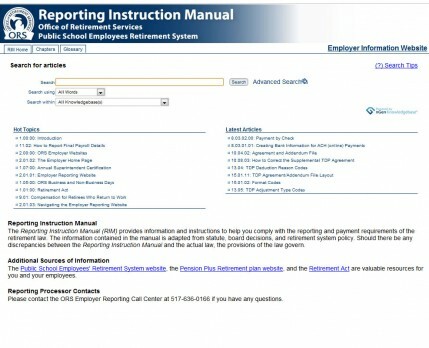 Navigation choices were made off of program limits and profiles of potential clients. Technologies used are Knowledge Base, Adobe Photoshop for graphics, and Adobe Dreamweaver for HTML and CSS changes.